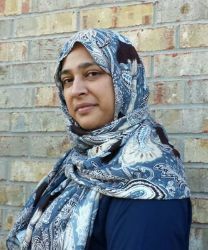 Saadia Faruqi is a Pakistani American author, essayist and interfaith activist. She writes the children’s early reader series “Yasmin” published by Capstone and other books for children. She has also written “Brick Walls: Tales of Hope & Courage from Pakistan” a short story collection for adults and teens. As part of her activism, Saadia trains various audiences including faith groups and law enforcement on topics pertaining to Islam. She has been featured in Oprah Magazine in 2017 as a woman making a difference in her community. She is editor-in-chief of Blue Minaret, a magazine for Muslim art, poetry and prose. She resides in Houston, TX with her husband and children. Dr. David E. Kirkland is the Executive Director of The NYU Metropolitan Center for Research on Equity and The Transformation of Schools. He has also been described as an activist and educator, cultural critic and author. A leading national scholar and advocate for educational justice, Dr. Kirkland's transdisciplinary scholarship explores a variety of equity related topics: school climate and discipline; school integration and choice; culture and education; vulnerable learners; and intersections among race, gender, and education. 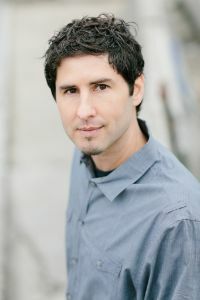 His publications address the cultures, languages, and texts of urban youth; using quantitative, critical literary, ethnographic, and sociolinguistic research methods to answer complex questions at the center of equity and social justice in education. Dr. Kirkland taught middle and high school in Michigan. He’s also organized youth empowerment and youth mentoring programs in Detroit, Chicago and New York and currently leads efforts to enhance education options for vulnerable youth. Dr. Kirkland has received many awards for his research and educational advocacy work, including the 2016 AERA Division G Mid-Career Scholars Award, the 2008 AERA Division G Outstanding Dissertation Award. 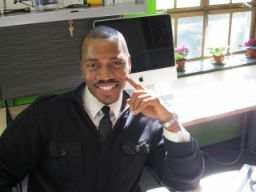 He has authored 5 books including A Search Past Silence: The Literacy of Black Males, a TC Press bestseller and winner of the 2015 Daniel E. Griffiths Research Award, the 2014 AESA Critics Choice Award, and the 2014 NCTE David H. Russell Award for Distinguished Research in the Teaching of English. He is co-editor of the newly released critical sourcebook, Students Right to Their Own Language. Named by Ebony magazine as one of the most brilliant scholars in the U.S., Dr. Kirkland has been a pivotal intellectual voice promoting educational justice in the U.S. and abroad. ALER invites members and non-members from the literacy community to submit presentation proposals aligned to our 2019 conference theme, Building Bridges with and for Literacy. Reading and writing expand horizons, open windows, facilitate exploration, support connection, share ideas, challenge thinking, change perspectives, and more. Literacy builds bridges. And currently too many gulfs exist. The 2019 conference will strive to build bridges across gulfs, cultural gulfs, contextual gulfs, methodological gulfs, and more. Join us in building bridges to with and for literacy! The discounted reservation rate link is now available. The venue for the 2019 Conference is the Omni Corpus Christi along the coastline of beautiful Corpus Christi, Texas.